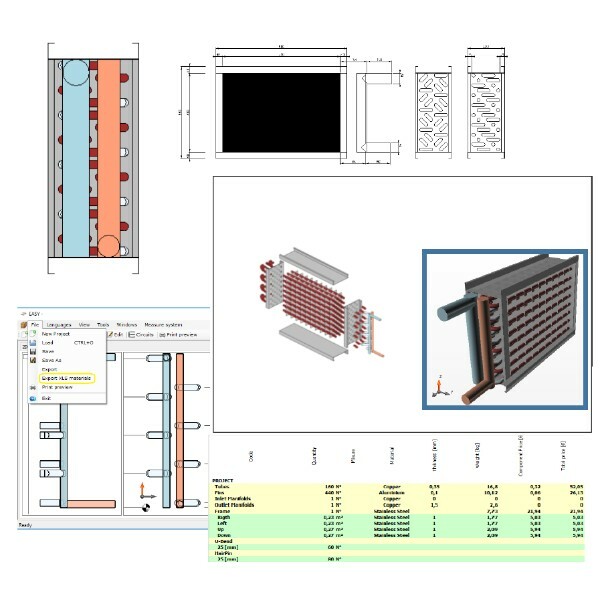 UNILAB TRANSCRITICAL GAS COOLER is the best software for the design and rating of Co2 Gas Coolers. 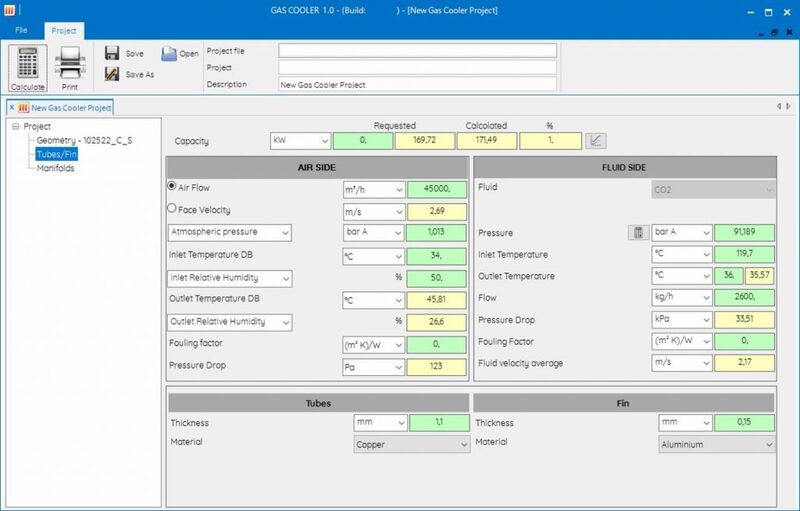 The software allows to quickly perform the transcritical calculation of the Co2 gas cooler, obtaining its capacity from just a few input data. 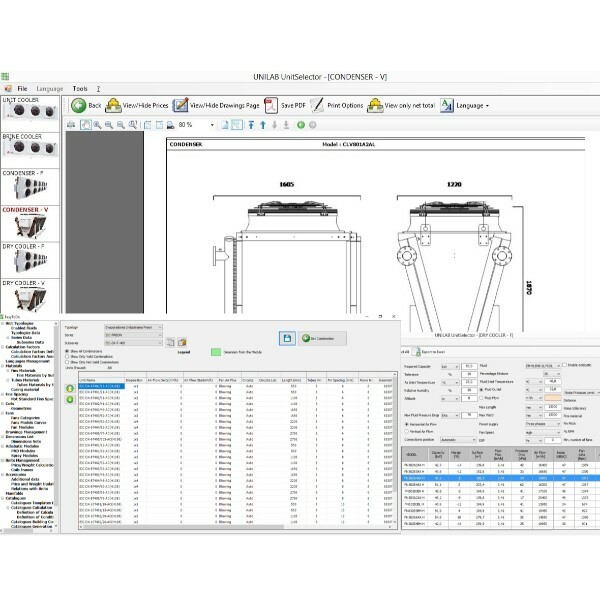 The user can edit the most common geometries, add new customized geometries with an easy to use wizard, and edit tubes and fins materials and thickness. 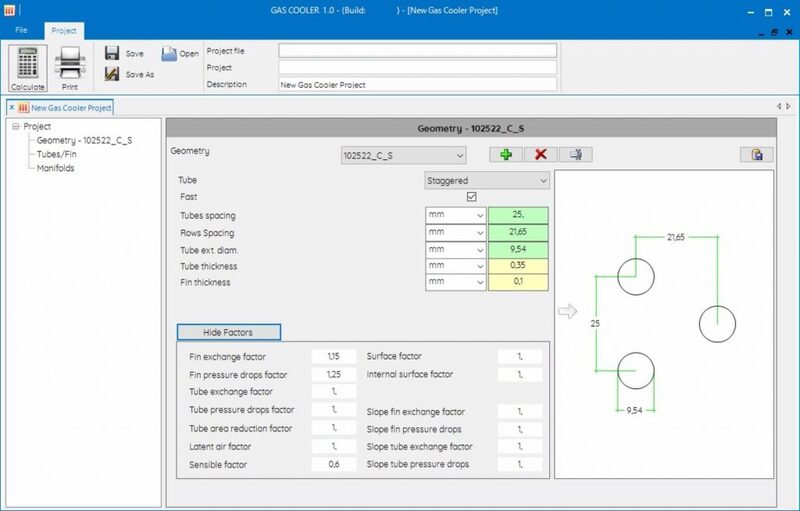 The automatic and manual calculation of manifolds is also an included feature. During the cooling of CO2 gas, since you are in a transcritical zone, and you have a significant thermal shift, the physical properties of the gas change a lot between the beginning and the end of the cooling. UNILAB TRANSCRITICAL GAS COOLER is designed precisely to operate in transcritical areas of transformations. In fact, the software divides the exchanger into 100 pieces, and for each piece makes a thermal balance. This means the thermodynamic properties are not an average between the beginning and the end of cooling , but vary for each piece! We have added a button with the icon of a sight, which serves precisely to automatically optimize the flow rate of the CO2 in order to “hit the target” of the capacity required by the user! 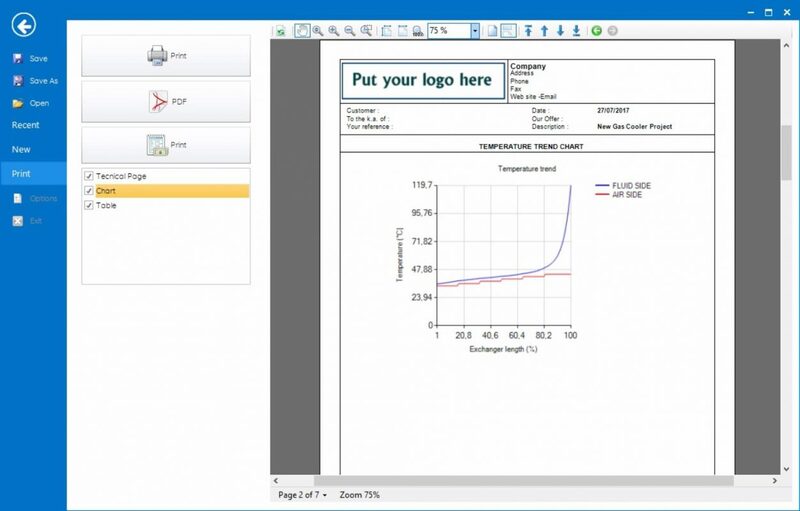 After the calculation, by clicking on “Print”, the software will provide a detailed output results printout, with a temperature trend chart and a table summarizing the trends of the thermodynamic proper-ties along with the heat exchanger performance. 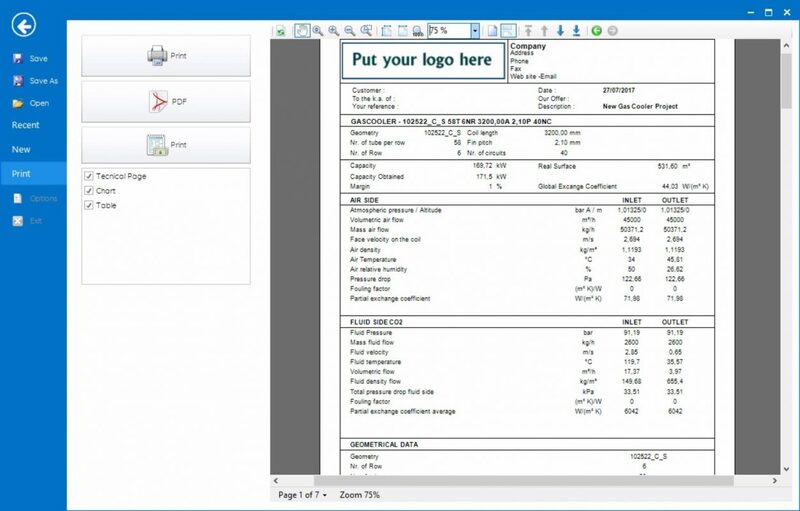 All the output printouts, can be easily exported in .PDF format, with just a click. TRANSCRITICAL GAS COOLER is the best software for the design and rating of Co2 Gas Coolers. 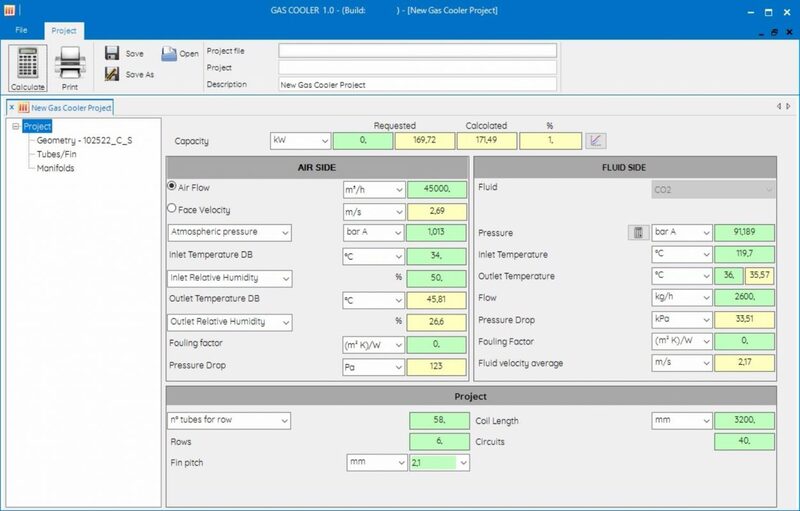 The software allows to quickly perform the transcritical calculation of the Co2 gas cooler, obtaining its thermal capacity from just a few input data. 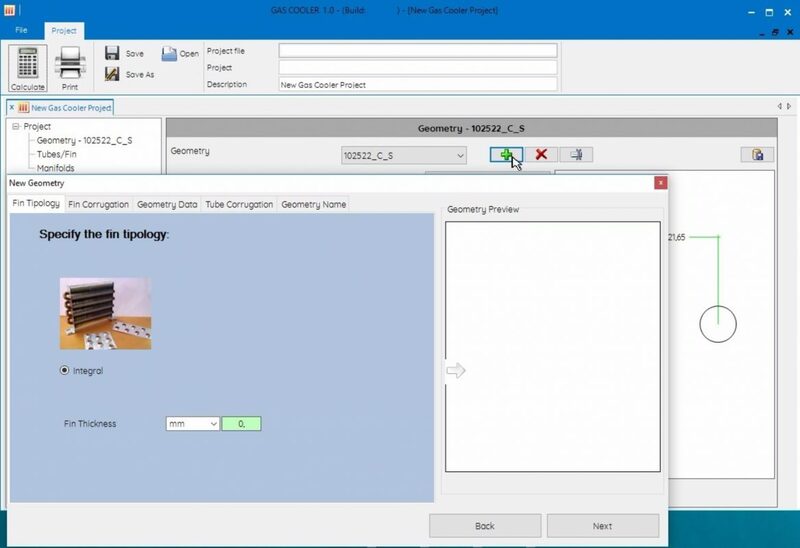 The user can edit the most common geometries, add new customized geometries with an easy to use wizard, and edit tubes and fins materials and thickness. 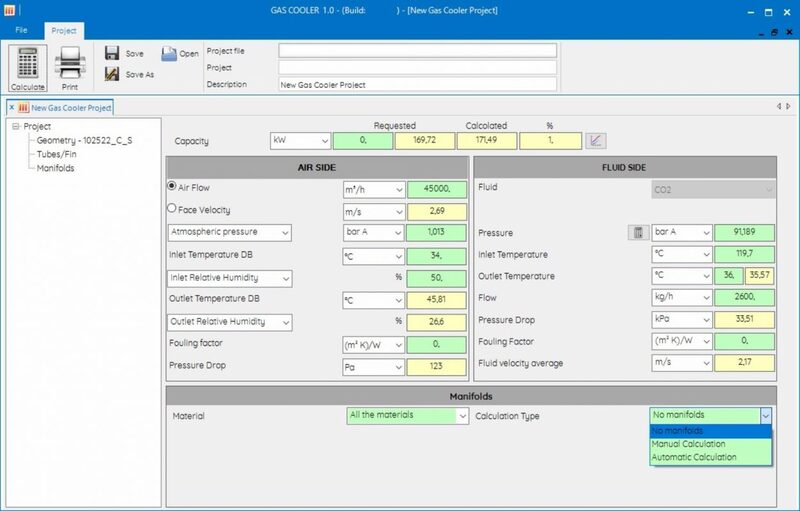 The automatic and manual calculation of manifolds is also an included feature. 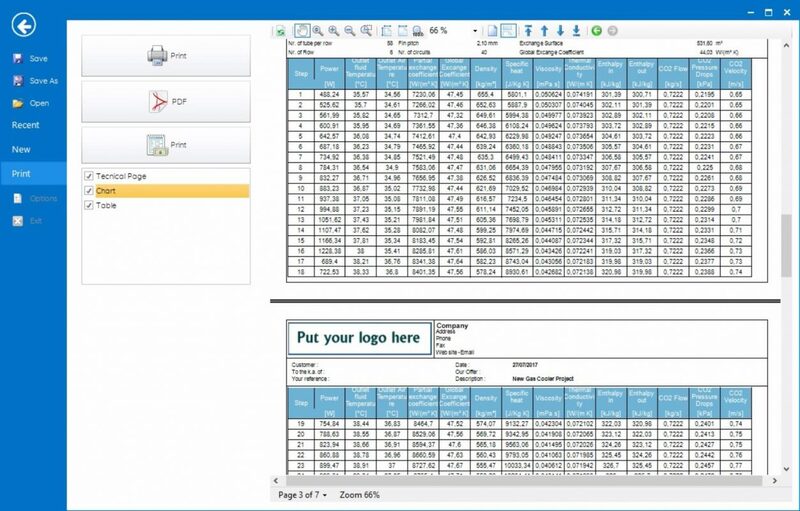 After the calculation, by clicking on “Print”, the software will provide a detailed output results printout, with a temperature trend chart and a table summarizing the trends of the thermodynamic properties along with the heat exchanger performance.